Ireland qualified prop Gareth Milasinovich will join Ulster this season. Ulster have announced four new contract extensions for current players and confirmed the signing of a Worcester Warriors prop. Gareth Milasinovich will move to the province this summer while Alan O’Connor, Ross Kane, Dave Shanahan and Rob Lyttle are all staying at Kingspan Stadium. 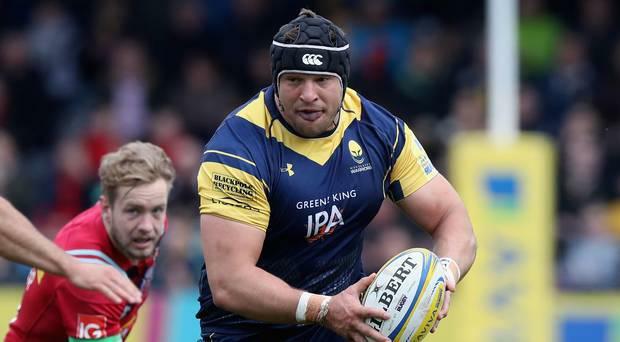 Milasinovich has made 19 appearances for Premiership strugglers Worcester so far this season. The 26-year-old prop was born is Johannesburg, South Africa, but qualifies for Ireland through his grandfather Norman McFarland, a former Ulster player. Warriors Director of Rugby Alan Solomons, a former Ulster coach, said the club understands Milasinovich's desire to step up to international rugby. Meanwhile, McFarland has also welcomed the extensions signed by four of the province's Academy products. “It’s great that they have gone on to contribute to the senior squad in the way that they have over the past few years," he said. O’Connor, aged 26, made his debut against Leinster in December 2012 and has developed into a key figure for Ulster in the past few seasons. The second row has racked up 81 appearances and has captained the side on numerous occasions, including Saturday’s win against Zebre. Shanahan made his senior bow in November 2013 against Edinburgh and has amassed 37 caps. The 25-year-old scrumhalf has scored an impressive six tries to date this season. Tighthead prop Kane, 24, began his rugby journey at Donaghadee RFC. He made his Ulster debut against Newport Gwent Dragons during the 2016/17 season and he now has 35 appearances to his name. Dromore man Lyttle, 22, marked a memorable senior debut in September 2016 with two tries against Newport Gwent Dragons. He now totals 18 appearances and has scored 8 tries. Rúaidhrí O'Connor THE Champions Cup quarter-final against Leinster got a bigger billing but there is a case to be made that tonight's trip to Murrayfield is Ulster's season-defining game.